Note: Some of the links in this post are affiliate links. This means if you click on the link and purchase the item, I will receive a commission at no additional cost to you. More details are here. UPDATE November 2018: Like many of you, I was heartbroken to hear the news of the eruption of Volcán de Fuego that occurred in June of this year. While volcanic eruptions and earthquakes are not unusual in this seismically active region, this eruption was particularly devastating. Please note that the below post is about general travel safety in Guatemala, not about volcanoes. However, I traveled back to Guatemala in October and can affirm that for travelers to Antigua, things are back to business as usual. As of October, there was a portion of a road still being rebuilt, and of course families who lost their homes and loved ones are still recovering. Questions about travel safety in Guatemala pop up on a frequent basis in online travel groups that I’m a part of. With the stories about Central America that tend to make news headlines, it’s understandable. Guatemala has some tourist draws like Antigua, Tikal, and Lake Atitlan, but it’s also part of the Northern Triangle of Central America, which has gained infamy for its high rates of violent crime. It’s easy to see why a solo female traveler, independent backpacker, or worried mom of a college student would have hesitations about safety. If you’re considering a trip to Guatemala and are feeling apprehensive, this post is for you. I’m going to share my concern about an answer I frequently see to this question, my own thoughts, and responses from six Guatemalans, Guatemalan-Americans, expats, and others who are way more knowledgeable than I am on the topic. I love seeing that interest in Guatemala is increasing and that more people are discovering this beautiful Central American country. I’ve loved Guate since my first trip there thirteen years ago, and I’ll gladly talk your ear off (preferably over a good cup of coffee) about its history, diversity, and natural beauty. I’ll sing its praises and wholeheartedly encourage you to go. However, one of the responses I’ve seen in these discussions about travel safety concerns me. 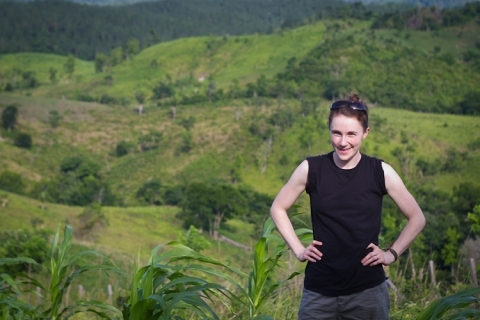 It boils down to this: “I backpacked in Guatemala for 2 weeks, and I felt totally safe! Nothing bad happened to me.” This is not actually answering the question, “Is it safe to travel to Guatemala?” How safe someone felt while traveling is supplementary information and highly subjective. While your level of comfort is relevant to the conversation, it’s not always indicative of what is happening in the country and what you should be aware of. So we should look at the objective facts, then, right? Take a few minutes to read up on Guatemalan news, and you’ll see reports of mob vigilante justice, drug trafficking, and gang violence. And though the homicide rate is lower than in Honduras and El Salvador, it’s higher than tourism-heavy countries like Costa Rica. The U.S. State Department rates the threat of violent crime in Guatemala as “critical,” though there is not currently an alert or warning issued. When you step back and put this information into the world context—reading news from cities like Philadelphia or London or comparing gun homicide statistics in countries around the world to U.S. cities—it sometimes feels like these travel warnings are over-the-top. We all know from watching the news for five minutes that crazy things can happen anywhere, even in our own hometowns. So there’s a risk in looking only at statistics and travel warnings because they don’t tell the whole story. I assume this is why so many people ask about the personal experiences of others. But we also can’t rely solely on personal anecdotes when asking questions about travel safety in any destination. So, how should we research these questions? 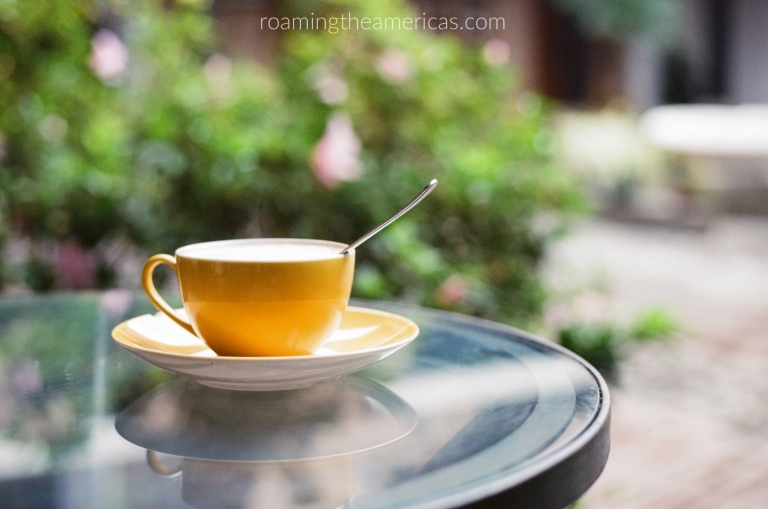 And…is Guatemala dangerous for travelers? Here’s my take. I’ve been to Guatemala five times and have traveled to many areas of the country—from Guatemala City to Mayan ruins in Petén, from hiking up a mountain to a rural indigenous village, to working on a coffee farm on the Pacific Coast, and various places in between. I’ve studied Guatemala’s history and current events in a college course and independently. I’ve traveled solo and as part of groups ranging in size from about 6 or 7 to more than 50. My answer to the question of whether Guatemala is safe? It’s possible to travel to Guatemala safely. Going in blindly based on personal experiences from a few travelers isn’t the best idea. But neither is letting news headlines stop you from traveling. While I’m not a fan of throwing scary statistics around or fearful knee-jerk reactions, I believe it’s also paramount to do your research first. Those travel warnings are based on factual information, and learning about commonplace crimes is helpful in staying informed and preparing to travel. Information and facts can give you the confidence to prepare and the wisdom to make a decision that’s right for you. In Guatemala, I try to stay informed about some of the major issues–red zones in the capital, certain public “chicken bus” routes that are prone to robberies, and the regions of the country that see the most violence. I recommend getting an overview of Guatemala’s history and reading up on current events before traveling. Not only does learning about the places you travel prepare you in terms of logistics and safety, it also enriches your travel experience and allows you to engage more deeply with the people you meet. This isn’t about highlighting the risks and making the world sound terrifying. I don’t want to perpetuate a fear mindset, but the truth is that there are dangers, and it’s important to be honest about them—without letting them paralyze you. For me, being informed helps me know what to be aware of, gives me confidence to prepare, and puts my mind at ease. 2. Talk to locals and people who have lived there. Asking locals is the best way to find out if a specific area is safe and what places to avoid (one of the tips below expands on this idea with an important caveat). Go beyond talking to someone who has traveled in Guatemala for a week or two, even if they are a savvy traveler. My knowledge is limited since I haven’t lived in Guatemala. So I’ve reached out to some friends who are either from Guatemala or have lived there for an extended period of time (in other words, they’re way smarter than I am) to share their thoughts and tips to help you have a safe visit. —If someone asked you, “Is it safe to travel to Guatemala?” what would your response be? —Do you have any other thoughts, tips, or advice about the topic of travel safety in Guatemala that you’d like to add? Yes, it’s safe! My husband is Guatemalan and grew up in Guatemala City. 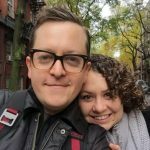 I lived in Xela, Guatemala for a month, and we travel back to the capital and Antigua regularly with our two small kids. While we believe there is no reason to fear Guatemala, it is important to take smart precautions. Night travel is not always recommended. And while we still allow our children to move freely in public, we do keep our eyes on them and stay close. We also try to use reasonable precautions about keeping electronics, cash, or other valuables out of sight in public. Of course, as with all international travel, it’s important to keep your passport in a safe place, and we don’t typically carry it on us when we’re out and about unless it’s needed. Sarah Quezada is a writer and non-profit professional married to Billy, who was born and raised in Guatemala City. Check out her blog, A Life With Subtitles. She’s also got a book coming out, so you’ll definitely want to follow her to stay updated on that! It is quite safe to travel in Guatemala under the right conditions. Some regions are safer than others, but in general it is safe. As a foreigner, never travel alone. Ideally, you want to travel with someone local who knows the area and current safety climate. Always have someone you know pick you up at the airport. If using public transportation or walking in public in Guatemala City, keep your money/valuables as secure as possible. I put my wallet in my pants front pocket. Nathan Tillotson is U.S. Citizen and OB/GYN physician born and raised in Guatemala. Head here to view his signature book, The Art of Decision, available in both English & Spanish. Yes, it is safe if you’re smart about it. Just as in any city or country, there are places and situations you’d do well to avoid, but with basic precautions and street smarts you’ll most likely be fine. Violent crime is a tragic reality in Guatemala that overwhelmingly, though not exclusively, affects the poor and vulnerable. News reports about gang and cartel activity are terrifying, and petty crime is real, but remember that millions of Guatemalans go about their daily lives–going to school, to work, to church, to the lake–without living in constant fear of violence. Like anywhere else, daily life in Guatemala looks different than the headlines would lead you to believe. Also, Guatemalans are great, so when you visit, spend as much time with them as you possibly can. Ask them (or hire them!) to show you around their beautiful country. Tim Hoiland grew up in Guatemala as a dual citizen and enjoys reconnecting with old friends and making new ones there whenever he can. You can follow Tim on Twitter and check out posts about Guatemala on his blog. Yes it is. It also depends the places you will be visiting and if you are traveling alone. It’s always good to be careful. If it’s your first time traveling to Guatemala, I would suggest that you either travel with someone else or have people inside the country whom you trust if you are traveling by yourself. Linda Rodríguez was born in United States but has lived outside Guatemala City all her life. She is currently studying auditing and CPA in Universidad Francisco Marroquin in Guatemala. Yes, if you take some precautions. Travel safety is very fluid, so it’s difficult to make hard and fast rules. I would share some general guidelines like avoid traveling at night, avoid wearing flashy jewelry or carrying expensive equipment, and travel with at least one other person if you can. Since safety is a topic that is always changing, my best advice is to ask locals. And not just one. Ask a few people. Be clear that you’re asking if going to such and such place is safe for you as a foreigner. Most Guatemalans or local expats will be able to tell you basic advice like to avoid a certain route because there have been assaults or to be sure to take a Guatemalan guide for the hike you’re planning to do. Some people will tell you to avoid chicken buses entirely. I don’t necessary agree with that. I have ridden dozens of them, but I am careful to make sure to ask about the route. Also, know that the drivers can be reckless. I am proud to say I lived in Guatemala on multiple occasions and never had a bad experience, but I was also careful and cautious when necessary. Sometimes that meant spending more money, like taking a taxi home instead of walking because it was dark out. 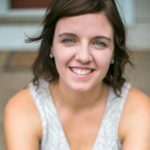 Rachel K. is a non-profit professional who lived and worked in Guatemala City and the Western Guatemalan Highlands. Yes, Overall—But It’s Not the Same as Travel in the U.S. It depends where and how you’re traveling. Go with someone who has done it before, or through a travel agency in a town like Antigua that has reviews and a good reputation. I wouldn’t take a chicken bus unless I were traveling with someone who lives there and was confident about the place I was getting on/off the bus. In a tourist city like Antigua, you can always find an English speaker, but that’s not always the case in some of the more remote (but super awesome) places worth seeing. Be aware of your surroundings and do some research before traveling—it will pay off. The coolest places in Guatemala are a tad remote, so you’d want to book a hotel and micro (vans that you wouldn’t believe can fit 15 people) at least a day in advance, and get proof of payment. The people are so kind and generous and helpful overall, but there is a risk, especially when it is so obvious that you are an outsider and most likely have more cash on you than those around you. While I was never robbed, there were situations that could have ended differently if I didn’t plan my travel ahead of time, travel lightly, or seek advice from people who have taken the same trip(s). Finally, cash is king, especially in remote areas where credit cards may not be accepted. So the short answer to the question about travel safety in Guatemala is that overall, yes, it’s safe, but it doesn’t mean that you can treat it the same as you would travel in the USA. Val was a missionary and volunteer in Guatemala for 2 years, but has carried the place in her heart for the past 16 years, since her first visit to Guate. Have you been to Guatemala or is it a place you’d like to visit? How much of a concern is safety when planning your travels? I’d love to hear your feedback & additional tips in the comments!